Posted November 27, 2017 by Charles Morris & filed under Newswire, The Vehicles. The Vespa is one of the most iconic symbols of Italian life, familiar from 1953’s Roman Holiday and a hundred other beloved movies. Never one to be left behind by new trends, the company recently announced an electric version. The Vespa Elettrica will stay true to the 70-year-old brand’s venerable look, and will have “all the bells and whistles of the classic version but with some significant tech upgrades.” The electric wasp’s motor will deliver continuous power of 2 kW and peak power of 4 kW. Vespa promises that acceleration will be significantly better than other scooters. Range will be approximately 62 miles, and charging time about 4 hours. 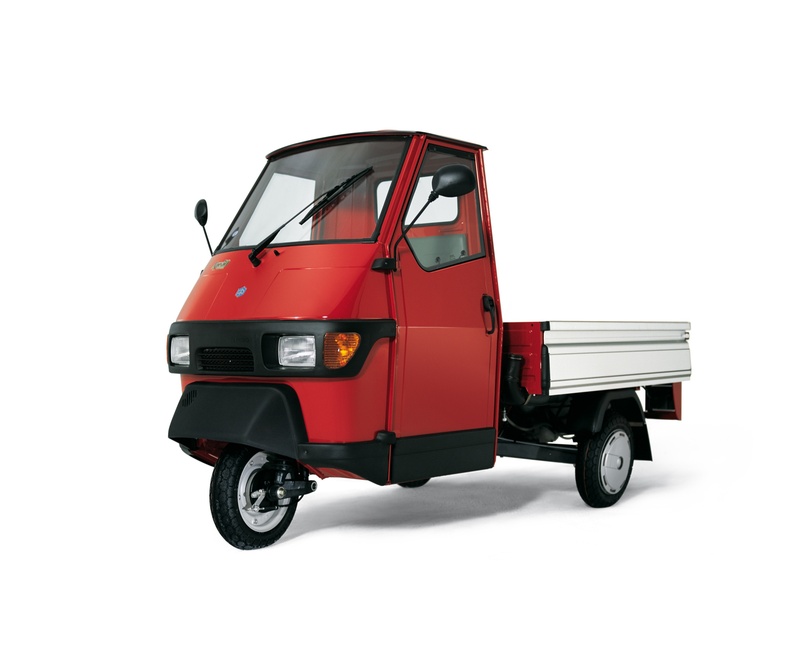 An X version, with a small gas engine that doubles the scooter’s range, will also be available. Manufacturer The Piaggio Group will produce the Vespa Elettrica in Pontedera, Italy. The new scooter is scheduled to hit streets around the world in 2018. Vespa says the Elettrica will be completely silent, “so drivers can zip around the city without adding to the cacophony of urban noise.” The annoying buzz of hundreds of Vespas has been a defining feature of Italian city streets for decades. Some may be happy to say arrivederci to the noise, but others may feel a twinge of nostalgia as yet another European tradition slips inexorably, like Hepburn and Peck, into the past. 4 kW sounds like its designed to act like a 50cc model. Bring on the GT version! Nice move! Looking forward to a US launch of the Vespa ES. Wonders continue as to electric transportation! Is a silent Vespa a “vespa?” Vespa is bee in Italian. bees are quick as well as noisy. https://uploads.disquscdn.com/images/395e75cd77e37e2f4fab14f14479173ec249e58d305c9244bb27c944d36dcc21.jpg Vespa is wasp not “bee”. Bee is “ape” in Italian, which is also the name of a very famous three wheels (tricar), still from Piaggio…..
OMG, I can imagine Roman narrow streets and allies with silent scooters zipping along at 35 mph and pedestrians being runned down! HD will produce and sell an HD all electric cruiser over their dead body. That means never.